If you have lost a loved one in an accident in Aventura, Florida, we know how you feel. Losing someone can be an immense tragedy. People from our Miami wrongful death team at the Wolfson Law Firm know how hard it is. We also know how to guide you in finding justice for your loss. As a survivor, you may be entitled to damages compensation. But to know for sure, you should find and speak with the best Aventura wrongful death attorney you can locate. It is possible that some person, on behalf of the at-fault party, will approach you following an Aventura wrongful death accident to offer you a sum of money to settle your claim. Don't accept anything before speaking to an Aventura personal injury lawyer. You can't be sure that they have offered you as much as you deserve. Maybe they are just trying to make you settle for less. The bottom line is if the offer is fair, let an experienced Aventura wrongful death lawyer tell you that in a free consultation. Then you can go ahead and accept the offer with the confidence that you are being fully and fairly compensated. You can call our Aventura wrongful death lawyers for free consultations at 305-285-1115. We can discuss the facts of your case and help you understand your legal options. You'll have this conference with our Aventura wrongful death attorneys at no cost, and if you choose us to represent you, you won't pay fees until we recover for you. Aventura, which means adventure in Spanish, is a suburban city in northeastern Miami. Golden Beach and Sunny Isles Beach are located on its east side. On the west Aventura borders with Ojus, North Miami Beach is on the south, and Hallandale Beach again on the north border. 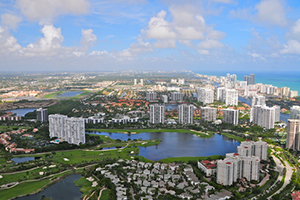 The estimated population of Aventura is 37,000 residents. Most of them are employed in white-collar positions. One-third of the population is of Latin American origin. No matter what kind of an accident you have lost your loved one to, you may be entitled to compensation. For help with that, call us at the Wolfson Law Firm. Our Aventura wrongful death attorneys are at your service for free consultations on 305-285-1115. We have assisted wrongful death survivors since 1963 and we are ready to help you and your family as well. Remember, we don't ask for fees unless we recover financially for you.